As an insurance professional, it's imperative to keep up with the latest trends and best practices in the digital marketing world. Our monthly digital marketing news update gives you the latest scoop for a variety of online media critical to your success. 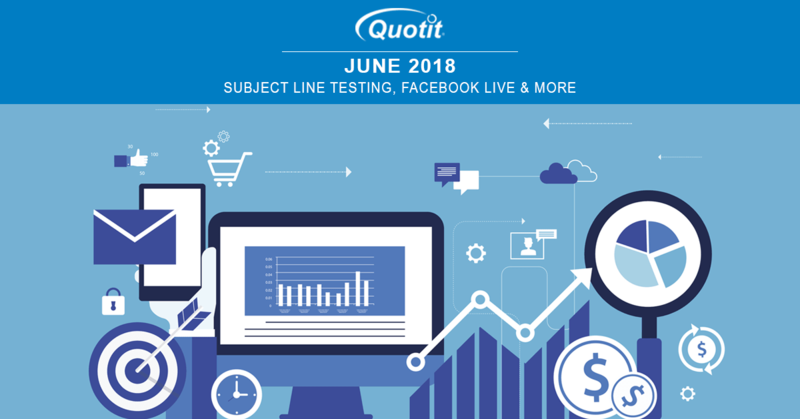 For the month of June we have some great articles about subject line testing, Facebook Live Video Ads, and much more. A look at the latest best practices and algorithm updates for Google and other top search engines. Insight into the most effective design and execution strategies for email marketing. Latest trends and findings for optimizing website visitor behavior and conversions. The inside scoop on the latest social media trends and developments.